The workplace is often a forum where aggressive competition, underappreciation, and self-doubt rule the day. 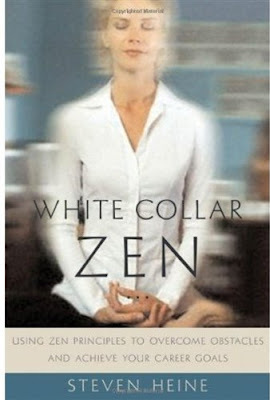 Heine shows how the principles of Zen Buddhism can effectively dissipate stress and anxiety in the professional world. In dealing with conflict, Heine brings to light two seemingly contradictory Zen mindsets: the "Way of the Hermit," which requires one to step back and view the situation in contemplative objectivity, and the "Way of the Warrior," which requires quick and decisive action without hesitation. It is only through practice and intuition that the student of Zen will utilize the appropriate method in any given situation. Heine wisely avoids pop spirituality and instead uses thoughtful examples straight out of the Zen tradition, including effective use of stories and quotations, some from Eastern philosophies and others that may be familiar yet are very Zen-like. Heine, a recognized authority on Buddhism and Japanese culture, gives workshops on the techniques described in this book.